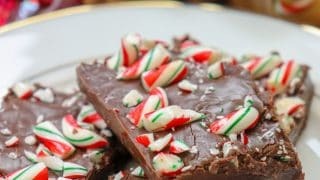 5-Minute Peppermint Fudge is an easy and delicious dessert for the holidays. It only takes five minutes to make and is a budget-friendly treat. 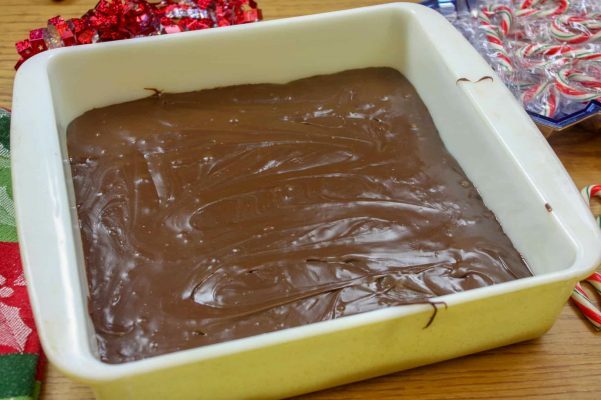 It’s the perfect fudge for the Christmas season. I love easy desserts. I pretty much just love desserts, but easy recipes make it that much better. This is a great recipe because you almost can’t go wrong. 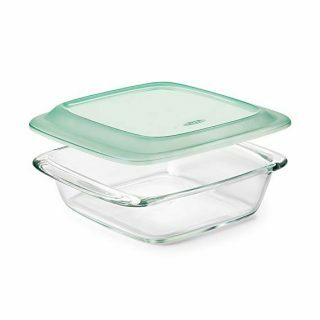 Plus, it’s budget-friendly, as well. We love fudge around here and I give a lot of it away for the holidays. It’s a thoughtful homemade treat that people love. I get people asking me for it every year, and for the recipe so they can make it for family and friends. 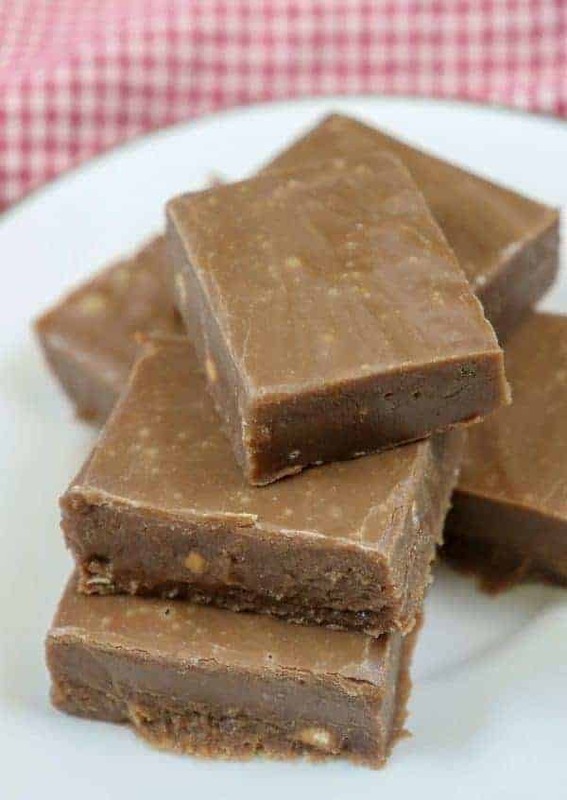 There are quite a few fudge recipes out there, but this one doesn’t involve cooking it – only in the microwave for about one minute. You can add peppermint, candies, chocolate chips, M&M’s or just about any type of treat you’d like. You can either mix it in with the fudge, sprinkle it on top, or both. Start off by adding about 20 small peppermint sticks to a Ziplock bag. Crush them up until they are in small pieces. You can break them up into pieces, or even break them up enough so they are like fine sand. Either way, they will be pepperminty. I used a rolling pin to crush them. This is a good time to get those boys in there to crunch them all up. My boys can come up with some inventive ways to crush them. I’m ok with that as long as they don’t end up being run over by something. Ha! I found the peppermint sticks on the sale aisle, so they were less than one dollar, and I didn’t even use them all. Yay sale! 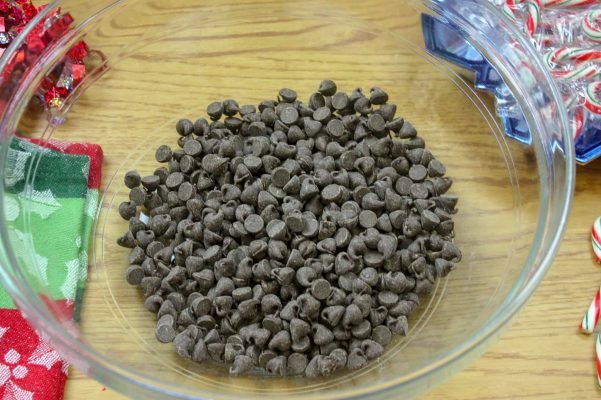 Add the chocolate chips to a bowl. I used a large bowl for this recipe, but you don’t really need to. I tend to go a little too big at times. 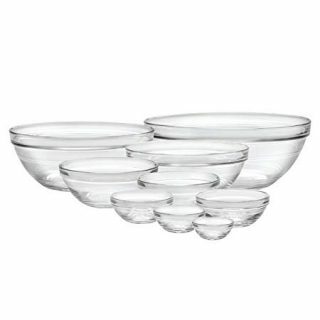 A medium-sized bowl will work just fine. Add the sweetened condensed milk to the bowl. Seriously, this is always the best part. 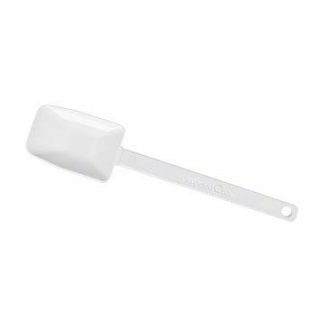 I try to make these recipes when the kids are at school so I can lick the spoon. All. By. Myself. Selfish, I know. Shhh…don’t tell them. 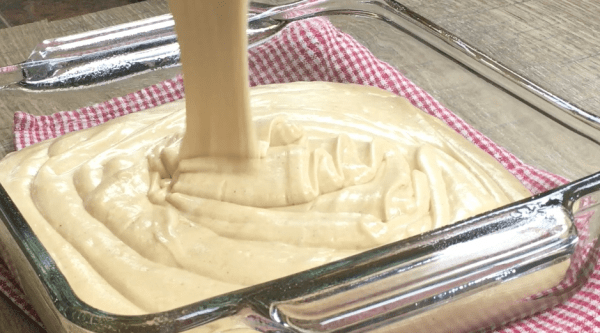 Once you’ve poured in the sweetened condensed milk, place the bowl in the microwave and microwave it for one minute. It might seem like it’s not melted enough but stir it first. It will melt quite a bit more when you stir it. Add the vanilla and stir again. (I forgot to take a picture of the vanilla. I also forgot to put it in during the video. Whoops!). 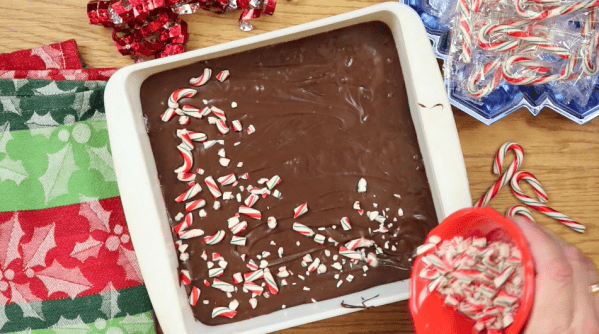 Pour the 5-Minute Peppermint Fudge into an 8″ x 8″ greased dish. 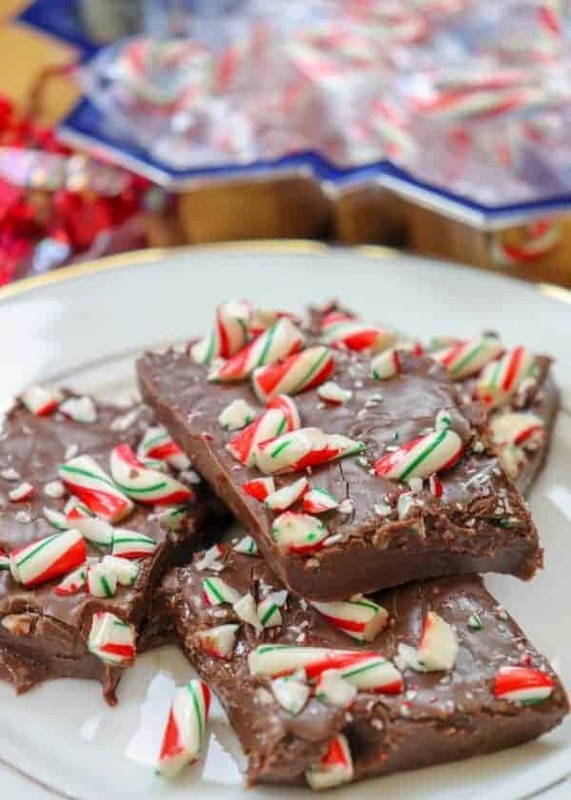 Sprinkle the broken pieces of peppermint over the fudge while it’s still warm. 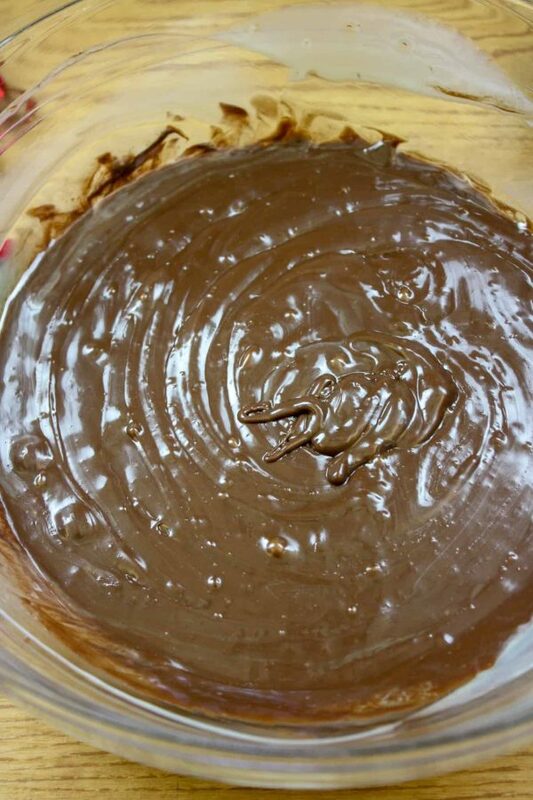 Allow the fudge to cool and set up for a couple of hours. You can also put it in the fridge if you’d like it to set up a little faster. 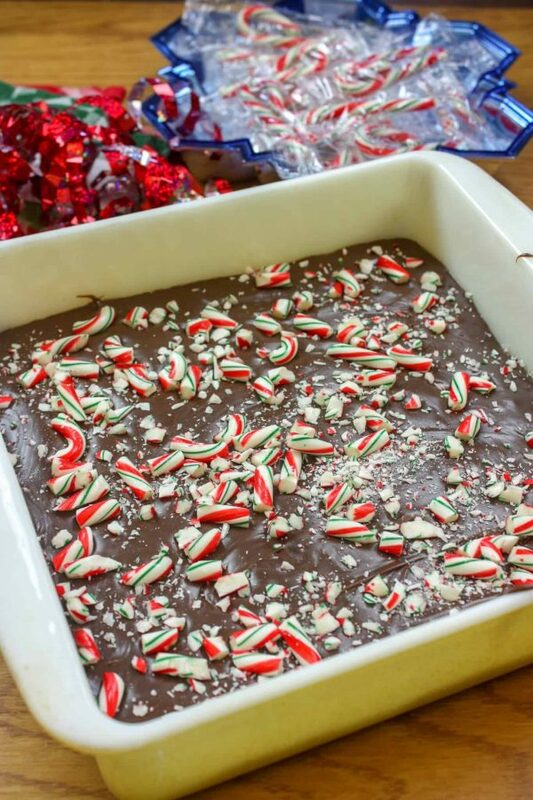 5-Minute Peppermint Fudge is an easy and delicious dessert for the holidays. It literally only takes five minutes to make and is a budget-friendly treat. It's the perfect treat for the Christmas season. 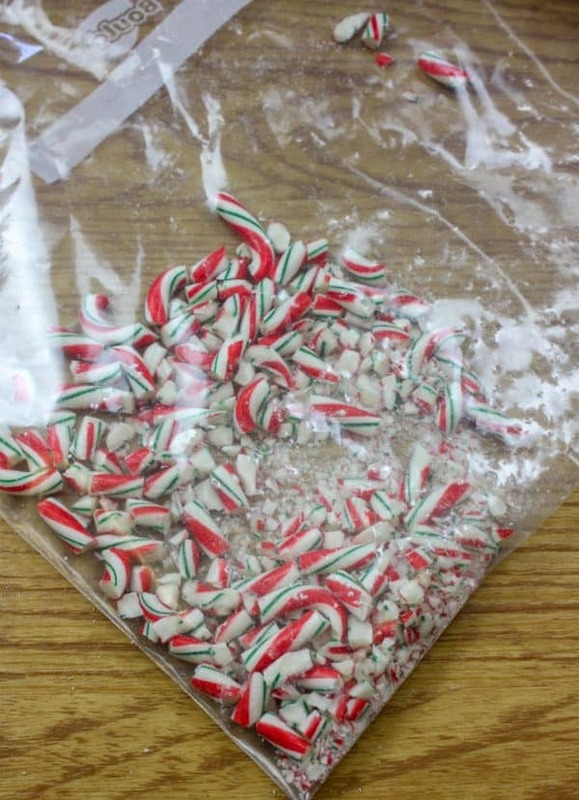 Crush the peppermint candy canes in a bag and set aside. 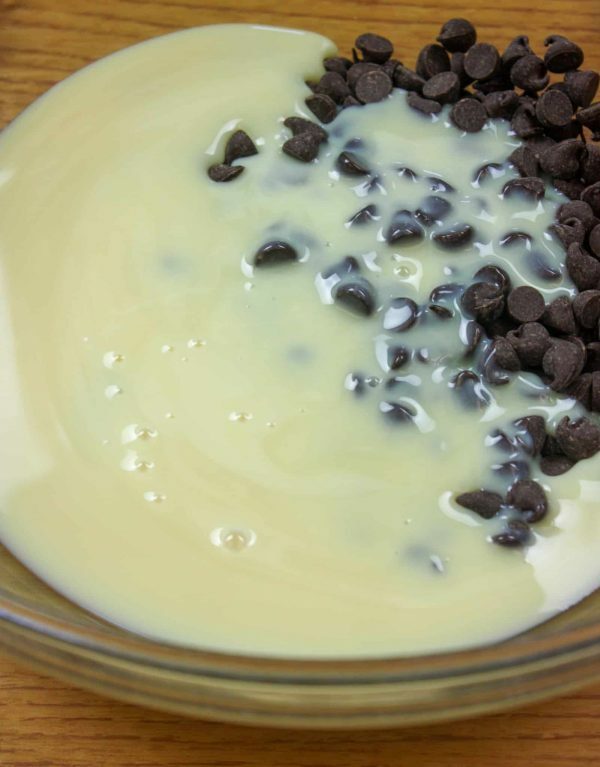 Add the chocolate chips and sweetened condensed milk to a medium-sized bowl. Stir the chocolate chips and sweetened condensed milk together. Pour into a greased 8" x 8" dish. Sprinkle the crushed peppermint over the top and allow to set up for at least two hours. Love the addition of the peppermint! Very festive.